As many of you will have heard we have a new Crystal bed in the clinic. This is all about colour and crystal healing energy. Each crystal is made up of the colour of your respective chakras, and is set on a special vibrational frequency. These are calibrated crystals set in a pulsating matrix of light. The bed is made up of seven hand-carved clear quartz Brazilian precision Vogel cut crystals, and all are carved from one piece of crystal. Each of the Quartz Crystals has been cut to a specific frequency, a technique developed by the late Marcel Vogel. The crystals are suspended on individual arms from a stand above the therapy bed. These crystals are then aligned over the major chakras and pulsating coloured light is shone through them. 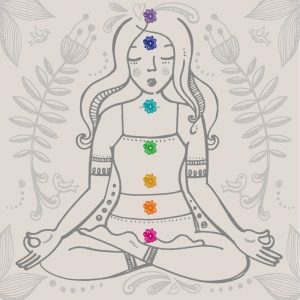 As the colour relating to each chakra is transmitted through the crystal, the chakra is cleansed, energized, and brought into balance with all of the other chakras. This repairs and balances the human Biofield and allows the other aspects of our self, whether it is mental, emotional or physical to be brought into balance. If you are interested in booking an appointment for the crystal bed, please contact Michelle on the usual bookings line, and ask for more details and prices.